Walter Benjamin begins his 1936 paper The Work of Art in the Age of Mechanical Reproduction by acknowledging, “In principle a work of art has always been reproducible. Man-made artifacts could always be imitated by men.” Benjamin is referring to the pre-mechanical means of reproduction. In principal, these methods were casting of coins and the ceramic arts. These were the methods that man had to make items in quantity. Benjamin states, “Mechanical reproduction of a work of art, however, represents something new. Historically, it advanced intermittently and in leaps at long intervals, but with accelerated intensity.” The Work of Art in the Age of Mechanical Reproduction is a critique of the ways in which the printing press, lithography, and later photography and film, revolutionized the way humans reproduce, communicate, and interact with images. Benjamin frames his argument using the terms aura and authenticity. He states, “The presence of the original is the prerequisite to the concept of authenticity. […] The authenticity of a thing is the essence of all that is transmissible from its beginning, ranging from its substantive duration to its testimony to the history which it has experienced.” He goes on, “Even the most perfect reproduction of a work of art is lacking in one element: its presence in time and space, its unique existence at the place where it happens to be.” Benjamin uses authenticity to define aura, and the aura of an object is intrinsically linked to its presence in both a space and time. Benjamin speaks also of the authenticity of the reproduced object or image as well, “The technique of reproduction detaches the reproduced object from the domain of tradition. 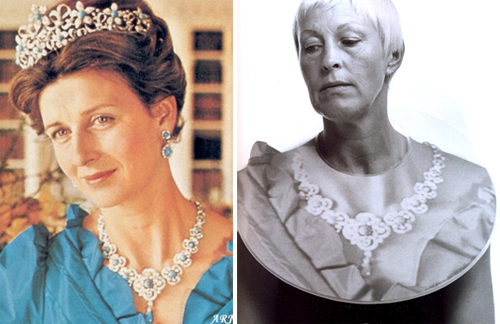 By making many reproductions it substitutes a plurality of copies for a unique existence. And in permitting the reproduction to meet the beholder or listener in his own particular situation, it reactivates the object reproduced.” Aura is a unique quality that Benjamin believes the original only possesses that cannot be reproduced by mechanical reproduction. The original authenticity of the aura cannot be reproduced, however each subsequent copy has its own authenticity and a new meaning or experience can be created. This paper pre-dates Death of the Author written by Roland Barthes, but touches on the similar concept that the individual viewer’s role and personal experience is an important one. Benjamin reasons that the earliest works of art were made for religious and magical purposes and their meanings were steeped in ritual and tradition. An example of this is an icon (painting) or a guilt reliquary. He states, “For the first time in world history, mechanical reproduction emancipates the work of art from its parasitical dependence on ritual. To an ever greater degree the work of art reproduced becomes the work of art designed for reproducibility. From a photographic negative, for example, one can make any number of prints; to ask for the “authentic” print makes no sense. But the instant the criterion of authenticity ceases to be applicable to artistic production, the total function of art is reversed. Instead of being based on ritual, it begins to be based on another practice—politics.” Benjamin’s reference to politics is not how we define politics in contemporary terms. He is referencing modernity’s demand for photography and mechanical reproduction. Photography changed politics, but also emerged “along with science, the penal system, medicine, the media, and other institutions of everyday life that made visual reproducibility one of the imperatives of modernity.” Emile Zola stated: “We cannot claim to have really seen anything before having photographed it.” From the end of the 19th century onward, photography was used to document, prove, and survey – for better or for worse – in ways never imagined before. It is at this point where art – the image or object – has a new function. A reproduced image of an icon (painting) for example, has a different function than that of the original in the church. Photography and film will never have “authentic aura” Benjamin argues, but it does have its own authenticity. 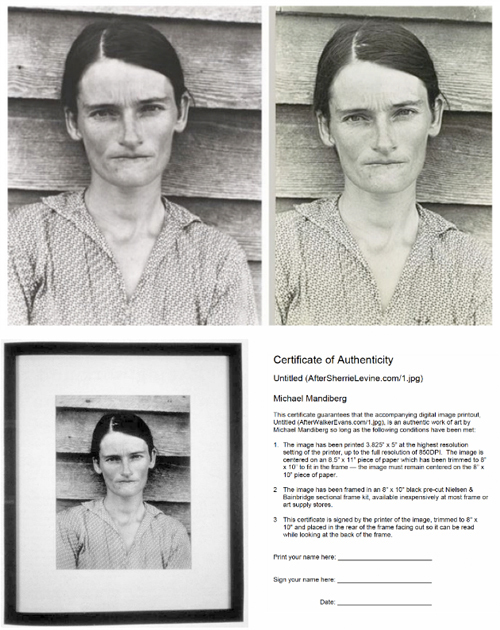 As stated, “From a photographic negative, for example, one can make any number of prints; to ask for the “authentic” print makes no sense. But the instant the criterion of authenticity ceases to be applicable to artistic production, the total function of art is reversed.” He notes that there are different types of photography and film. At first photography’s purpose was to document, but then it became an expressive artform unto itself. According to Benjamin, photography is the first medium to raise objects from the status of cult, steeped in tradition, to a form that has an exhibition value. These are images that have the ability to draw people in and make a statement that goes beyond tradition. Benjamin had multiple definitions of aura that seem to contradict each other. In 1930 he wrote: “Everything I said on the subject [the nature of aura] was directed polemically against the theosophists, whose inexperience and ignorance I find highly repugnant. . . . First, genuine aura appears in all things, not just in certain kinds of things, as people imagine.” Miriam Bratu Hansen notes that this definition of aura varies greatly from his other writings on the concept of aura. The Work of Art in the Age of Mechanical Reproduction was written in 1936 and he argues that the authenticity of an object or image’s aura is linked to its place time and space and is unique only to non-mechanically reproduced objects: the authenticity of aura cannot be reproduced. In The Work of Art in the Age of Mechanical Reproduction Benjamin acknowledges that original images or objects still hold the power of aura even if different cultures ‘read’ them differently: “The uniqueness of a work of art is inseparable from its being imbedded in the fabric of tradition. This tradition itself is thoroughly alive and extremely changeable. An ancient statue of Venus, for example, stood in a different traditional context with the Greeks, who made it an object of veneration, than with the clerics of the Middle Ages, who viewed it as an ominous idol. Both of them, however, were equally confronted with its uniqueness, that is, its aura.” In this passage Benjamin speaks of aura as perception. I question, how is this not possible for a reproduced image? Photographs and film have the qualities pertaining to the ‘medium of perception’ and aura, written about by Benjamin in other papers. He acknowledges a bit of historical aura in The Work of Art in the Age of Mechanical Reproduction, but the exemption of aura from the rest of the realm of photography and film from this paper is puzzling. 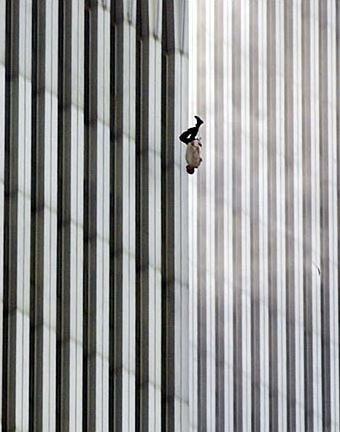 For example, I reference the image The Falling Man, taken by Associated Press photographer Richard Drew. Another example is Eddie Adams’ Pulitzer Prize winning photograph of a Vietcong prisoner about to be executed. These are newer images (relative to Benjamin) that go beyond simple documentation and tradition. Images such as these are mechanically reproduced (not one of a kind) and exist beyond simple documentation. The images describe a time and place, but speak to each viewer individually as well as society simultaneously. One did not need to be alive during the Vietnam War to feel the pull of Eddie Adams’ image – to know what has happened or what will occur next. All viewers, separate from tradition because it is so changeable, even according to Benjamin, are “equally confronted with its uniqueness, that is, its aura.” The broader definition of aura as a quality of perception, as opposed to a concern of aesthetics or requisite for authenticity, is a more relevant discussion about the image in the digital age. Horkheimer, Max, and Theodor W. Adorno. “The Culture Industry: Enlightenment as Mass Deception.” 1944. Barthes, Roland. “The Death of the Author.” 1977. Hansen, Miriam Bratu. “Benjamin’s Aura.” Critical Inquiry. 34, no. 2 (2008): 336-375. http://dx.doi.org/10.1086/529060 (accessed September 25, 2014).